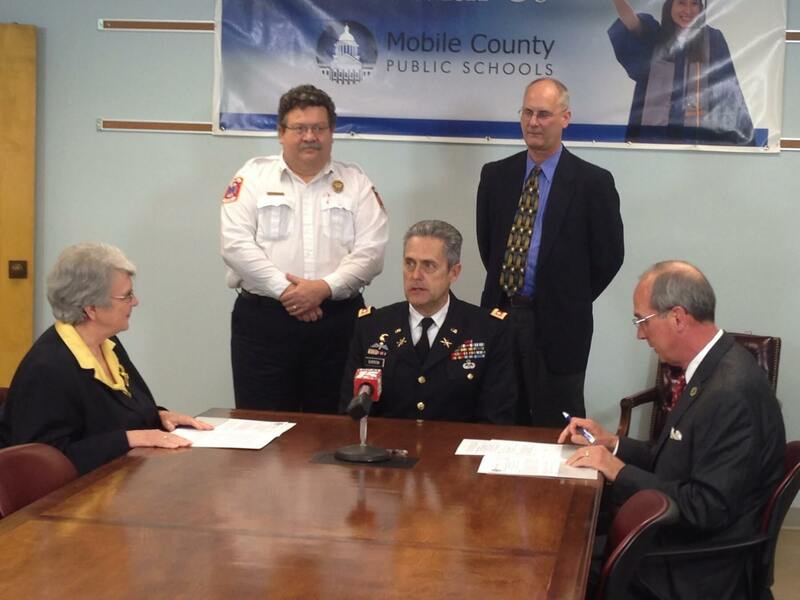 The Mobile County Public School System and the City of Mobile today signed a “co-op agreement” to provide student internships with the Mobile Fire-Rescue Department. The new partnership will allow JROTC students to enroll in a co-op/internship course, where they will have the opportunity to intern with a government entity. The program is expected to begin next school year with about 20 MCPSS students participating, MCPSS officials said in a news conference. MCPSS Superintendent Martha Peek, left; Assistant Fire Chief Billy Pappas, MCPSS Army Instruction Junior Reserve Officer Training Corps Program Director Col. Robert F. Barrow, Public Safety Director Rich Landolt and Mobile Mayor Sandy Stimpson are pictured at a news conference. Col. Robert F. Barrow, director of MCPSS’s Army Instruction Junior Reserve Officer Training Corps Program called the partnership a “historical occasion,” as the program is the first of its kind in the state. “This opportunity will allow seniors to get real-time, real-world experience working, for the moment, with the administrative side of the fire department in the city of Mobile,” he said. School and city officials both hope the partnership will expand to other government entities, like the Mobile Police Department, Public Works Administration and animal control services. The course, approved by the Alabama State Department of Education and formally titled “Senior Career Pathway (Government and Public Administration),” will be open to seniors who are CPR certified and have passed the Cadet Challenge fitness exam, among other requirements. Six fire stations have agreed to sponsor student interns, who will work 10 hours per week in administration roles. Specific divisions within the fire departments administrative areas include training, emergency medical services, public education, fire bureau inspection, homeland security and logistics. MCPSS Superintendent Martha Peek said the program is important for making “real-world connections,” and she hopes the program will encourage students to stay in Mobile after graduation, rather than move to another city. 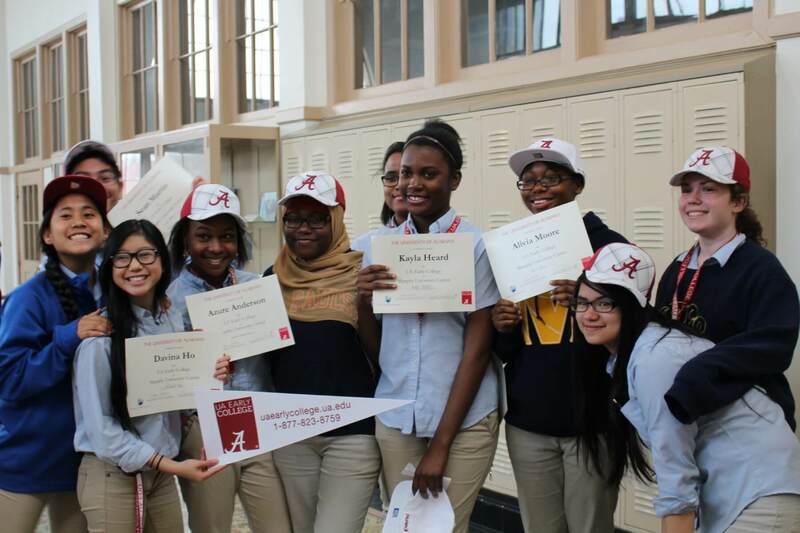 Mobile Mayor Sandy Stimpson echoed Peek’s remarks and said the program partnership provides yet another pathway for students to follow in exploring different career paths. “It’s all of us working together to move this city forward,” Peek said.